Since the launch of the re-branded online store, the new video has been given maximum exposure, not only on the website, but via social media platforms and various online and offline articles. For potential customers weighing up the pros and cons of purchasing from a list of unknown companies in a market with previously little public brand awareness the video is a fantastic tool to dispel any uncertainly and create a brand that grabs the imagination of the viewer making their concerns quickly vanish – and this is shown by a recent sharp increase in conversion rates. The video has afforded the company the opportunity to showcase some unique and extraordinary features of it’s products which are not easily conveyed using only static images and text. 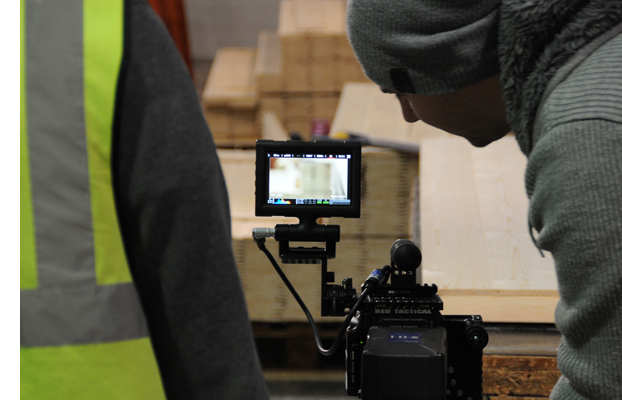 “One of the most important features of the video is showing the superior quality and finish of the timber” says website manager Jack Sutcliffe. 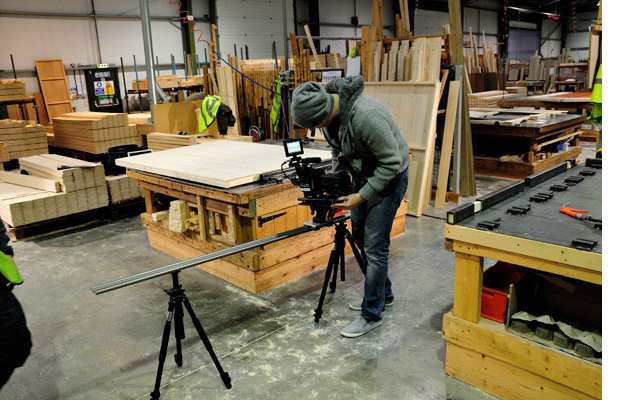 “The video allows one to see clearly just how good the timber is we use and exactly how high the specification of our product is compared to what else is out there. This is not always clear for customers when they shop around in what is an incredibly competitive market”. And it seems that the importance of the video is not just about showing the key features of the product. Jack continues “The video expresses the core values of the company and highlights our desire to use the highest quality of materials, machinery and craftsmanship available as well as showing just where we want to take our brand and what we want this brand to be associated with.” Despite the economic downturn and the recent bad weather (which can affect the garden shed industry severely) Tiger Sheds, the UK’s fastest growing online shed retailer, are forecasting another strong summer ahead. The chief architects of the video were Leeds based film production company Left Eye Blind who have worked hard to establish themselves as a unique and highly sought after production company creating music videos and pop promos for the local and national music scene since 2007. The company has a reputation for its cinematic approach to productions and over the last few years has diversified into all varieties of film and video including several feature films and the development of it’s music video portfolio includes a range well known international artists. Showing a real desire to truly understand the motivation behind the movie and the emotions of the company ‘Left Eye’ worked closely with Tiger Sheds throughout the detailed planning stages of the shoot to ensure all aspects of the manufacturing process were included in the video, and that the message was put across exactly as it was intended. With manufacturing in full flow in preparation for the summer it was difficult to find a suitable time for video production which would require three full days of filming, all to be completed concurrently to the normal busy manufacturing procedures. Some work flows had to be stopped for specific scenes which required silence, and some scenes had to be completed late into the night once all the staff had left to go home. After the arduous task of filming every intricate part of the manufacturing process, the 36 hours of raw footage then had to be stripped down to create a mere 2 minutes worth of video, trying to maintain the heart and sole of the process without losing the attention of the viewer. This involved nearly three weeks of editing and constant consultation with the Tiger Sheds team to ensure everyone was happy with what the video contained and everything that needed to be in there made the final cut. The superb graphics, which help make the video so engrossing, had to be carefully woven into each scene of the video but perhaps the most challenging aspect of the editing process was composing and synchronising the music. Produced by vocalist and guitarist Peter Wright, member of post-rock band the Vessels, the music formed one of the most fascinating parts of this film adding emotion and feeling into the ordinarily very industrial settings. Firstly, the music was inspired by various recordings taken around the Tiger Sheds factory and then Peter set to work on introducing an intricate yet warm and friendly melody which falls in line with the story and emotion of the film. The music production was carried out very much hand in hand with the editing team to ensure everything was aligned and perfectly in sync to complete this remarkable piece. Finally comes the various hidden quirks of the video which make it that little bit more interesting – things that you may not notice until the third or fourth viewing. Found deep within the graphics of the film you can learn the specifics of where all the timber has been sourced down to the precise location and forest of Origin. The user can even learn some of the more trivial details surrounding the construction process and staff such as how manufacturer Richard Hainsworth (aka ‘Elvis’) likes his tea! With a view to getting everyone from the team involved with the project a decision was taken early on that no professional actors would be used at all within the filming – instead everything was filmed using real Tiger Sheds staff who performed their real everyday jobs. As Elvis explained, “I got in to work, expecting to do what I do every day, which was to manufacture shed panels. I was rather surprised when I was asked if I could be filmed as part of a new video. Maybe I’ll give Brad Pitt a run for his money next year instead of the shed manufacturing!” Despite his bravado and broad Yorkshire humour, Elvis’ supreme dedication and attention to detail is apparent during every scene within which he appears, and this is not just acting, it’s simply a part of his job. With this in mind it is plain for all to see that Tiger Sheds are a company who takes care and pride in everything they produce and the video illustrates this brilliantly.